A truly Filipino feast is never complete without inihaw (barbecue or grilled dish), as it is as iconic as the Pinoy fiesta itself. This well-loved dish has found its way in Mang Inasal’s menu 15 years ago, and the rest is history. Mang Inasal’s 2-in-1 sa Laki, Nuot sa Ihaw Sarap Chicken Inasal stands out amid the different brands of grilled chicken with its large serving of its uniquely flavored char-grilled chicken served in a homey fastfood setting. This is affirmed by the latest Kantar Worldpanel Eat-Out Panel Study which shows that Mang Inasal emerged as the No.1 Grilled Chicken brand, capturing a lion-share based on moving annual total value as of May 2018. This is no surprise as Mang Inasal is well entrenched in the market. 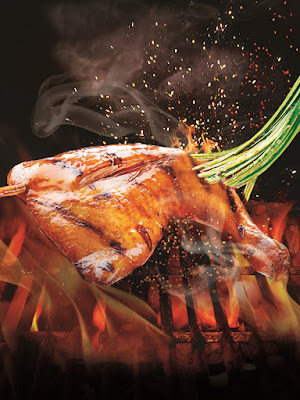 With the first Mang Inasal store put up in Iloilo City, the great-tasting Chicken Inasal has made waves around the country and spawned over 500 outlets nationwide within the span of 15 years. This is made possible by Mang Inasal’s winning recipe of high quality fresh chicken, special marinade recipe, and food preparation and grilling that follow strict quality standards. “There is no shortcut about the way we procure, prepare and cook our chicken. It is done in the most meticulous and best way possible. Even the most discerning customers can tell that it is made with the passion and expertise of Mang Inasal,” said Mang Inasal Philippines Marketing Head Aileen Natividad. Natividad said Pinoys are discriminating eaters. They want their food served fresh and hot, juicy and with their favorite condiment. Top that with unlimited rice, free soup, and their choice of their favorite desserts and drinks, and you have a blockbuster hit like the Mang Inasal Chicken Inasal! “You have to treat your customers as king. Give them what they want – a superior meal at the best value and an environment that is conducive to a truly satisfying dining experience,” Natividad said. As a special tribute to Chicken Inasal lovers, Mang Inasal will celebrate on January 26, the Pambansang Araw ng Chicken Inasal where all Chicken Paborito Value Meals will be sold at a P15 discount. This is in line with Mang Inasal’s 15th anniversary celebration. Give in to your craving! Visit any Mang Inasal store on January 26.